GLOCK 30S SubCompact 45 ACP Pistol With 2-10 Round Magazines. GLOCK 30S 45 ACP Pistol With 3.77" Barrel & 2-10 Round Magazines. GLOCK PH3050201. 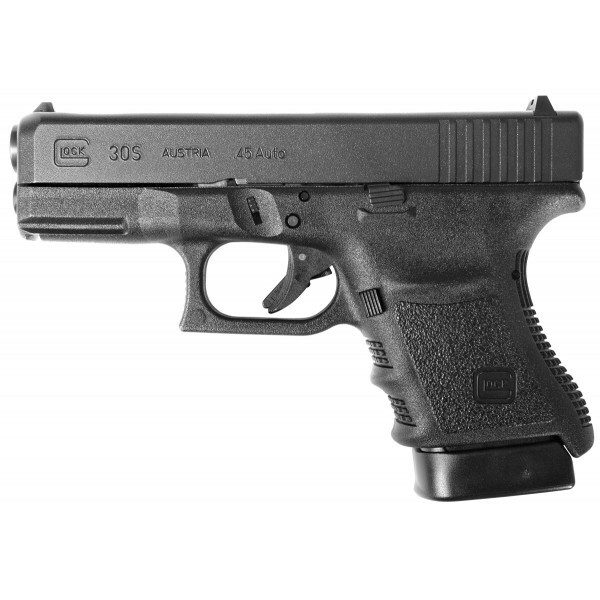 Built on the G30 SF frame, the G30S combines the full capacity .45 AUTO round count with a slimmer slide. This pistol offers a lighter, more easily concealable option for Law Enforcement and legal concealed-carry enthusiasts. Built in conjunction with elite law enforcement, the newest edition to the GLOCK product line brings a venerable history of consistency, dependability and safe performance in the powerful .45 Auto round.